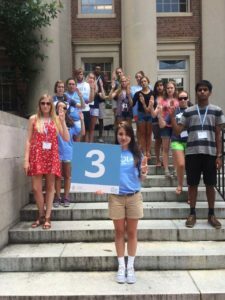 At the University of North Carolina at Chapel Hill’s first-year orientation, students meet with an academic advisor to discuss what they hope to study at the university (and, by extension, pursue for the rest of their lives). Unfortunately, this meeting was a stressful experience for a rising first-year student who had no idea what she wanted to study. 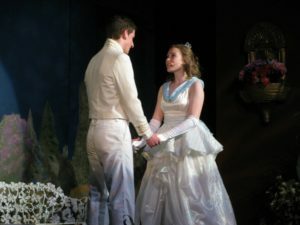 In high school, I had lots of interests: English literature and writing, environmental science, theater, psychology … even some parts of chemistry were fun. My interests were extensive, but I wasn’t ready to commit to any of them. I received very mixed messages due to my uncertainty. Wise adults (mainly family members) assured me that it’s completely normal to enter into college undecided and that I would figure it out in time. Elizabeth’s orientation group during a creative photo competition during her first-year orientation on June 27, 2014. These words of reassurance were directly opposed on that fateful orientation day in that unpleasant academic advising meeting when I sat with a girl who knew exactly what she wanted to study before attending one class. As she talked with the advisor while I patiently waited my turn, I couldn’t help but envy her situation. She spoke with such confidence in what she would study, and the advisor neatly and excitedly outlined her next four years. When it was my turn, I stammered awkwardly that I wasn’t sure what I wanted to study, and the advisor similarly stammered that I could focus on getting my general education requirements out of the way first. I left the meeting feeling discouraged and frustrated. I turned to the girl with whom I shared the meeting, and I asked her what exactly her intended major was, since I had never heard of it before. Basically, she explained to me, public relations is the clean-up crew for when a company has a crisis. I felt shocked to learn of the existence of such a field, and I felt intrigued by the wide variety of classes that encompassed the public relations major – history, political science, economics, journalism. Little did I know that day I became (very informally) introduced to what is now my passion. 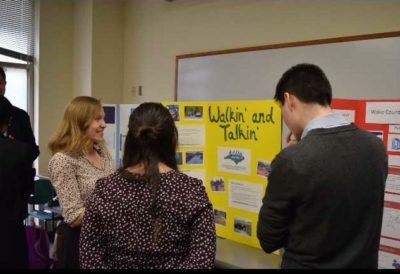 Elizabeth as a communications intern with local non-profit BikeWalk NC at a conference in April 2016 through the UNC-CH School of Social Work. Since that orientation day over three years ago, my relationship with public relations has deepened rapidly and dramatically. I declared the major in my second semester after taking an introductory journalism class and speaking to professors about this mysterious field. Through the award-winning UNC School of Media and Journalism and its dedicated faculty, I learned the rules, practices, materials and importance of the field. My sophomore year, I worked as a communications intern for an advocacy non-profit for bicycling and walking, and the next year I experienced the fast-paced nature of a public relations agency, juggling projects for diverse clients ranging from restaurants to healthcare providers. Every experience in and out of the classroom affirmed for me that I had made the right decision. I found something I was good at and enjoyed doing. Reflecting on my academic life at UNC-CH, I’m glad that my path to finding public relations was a process and not a pre-determined script. I allowed myself to explore the field, which made my choice to pursue it all the more thoughtful and rewarding. As I’m still the girl who has an interest in so many things, I take comfort and joy in knowing that public relations will allow me to follow any of those interests. To every field I explore, I aim to bring the public relations skills I’ve acquired to help build stronger, better organizations, whether they’re in theater, education, environmental issues … but maybe not chemistry this time. 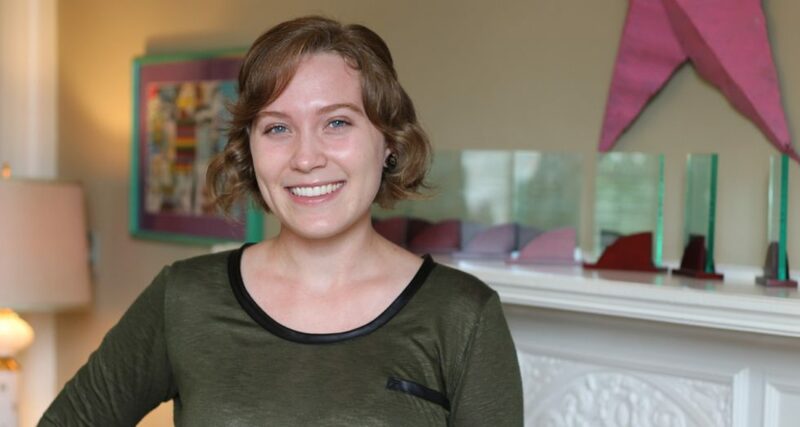 Written by Clairemont intern, Elizabeth Comtois, a senior at UNC-Chapel Hill.